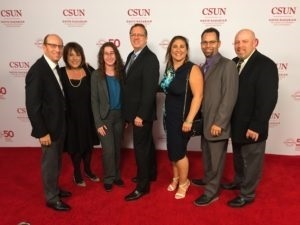 Last night was the 50th Anniversary Gala for CSUN’s David Nazarian College of Business and Economics. At B&B Premier Insurance Solutions we hold CSUN close to our heart, as many of our employees graduated from California State University Northridge. The Gala was a wonderful event and our B&B Premier Insurance Solutions alumni were out in droves! Eric Bossuk, Don Leslie, Talin Jabourian, Gary Guenther, Dave Kern and current CSUN senior, Milana Medvedeva all attended this event to show their support of the school that helped them to get to where they are today! We are proud of our CSUN alums!